The Nine Network will launch its HD service next Monday, March 17. Possibly hoping for the luck of the Irish, that’s also St. Patrick’s Day. The Australian Financial Review reports Nine HD will air on PBL-owned east coast stations and WIN affiliates in Adelaide and Perth. The channel will offer a block of programming simulcasting with the main channels in addition to time-shifted news and entertainment. There will also be new programs including ‘breakaway’ documentaries, movies and mini-series that have not been shown on the standard definition channel. 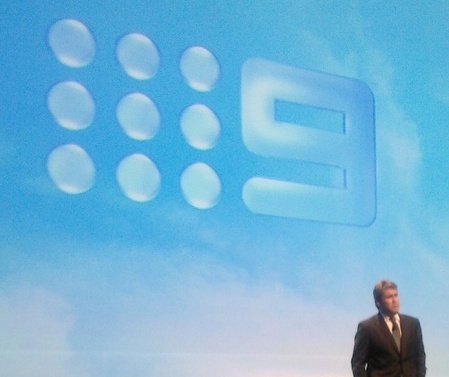 CEO David Gyngell has always been pragmatic about the launch of Nine HD. At the 2008 launch last year he described Nine HD as “not a new channel, it is a migration.” But he added that a third channel for 2009 would however, be a whole new channel. At this stage there is no indication of Nine HD being offered via regional affiliates. The AFR says Friday Night Football (NRL) coverage on Nine will be shown on both the main and HD channel at the same time. The three commercial networks are lobbying the Rudd Government to modify the anti-siphoning media laws, designed to stop networks from hoarding the rights to sports games but not showing them. They have been commonly called the “use it or lose it” rule. Should the government ease the rules Seven, for example, would be able to show alternative live Australian Open matches at the same time, at the moment it is limited to one live match on the standard definition channel. When are we getting WIN HD in the Nagambie- Shepparton area? when do we find out the unique programming schedule? Looks like good news for WIN TV areas, I’m currently watching the Sarah Connor Chronicles on WIN HD. There was even an ad in the break specifically saying “This is WIN TV High Definition”. It now looks like Southern Cross HD is officially the most “backwards” HD channel in the country; it currently shows no sign of ever getting off the demo loop. I really enjoy what HD channels have to offer and I hope Nine challenges themselves with offering watchable programming. I’ll wait and see what 9 will do with their HD channel, which at the moment is totally pathetic, before passing any judgements. And to you Jeremy: Find something more original. Any chance jeremy is on the 9 payroll? Haha.. I receive the regional affiliate WINTV. I wonder if WIN take on 9HD the same way it similcasts with 9SD/analog? I wouldnt expect WINHD to be up and running/ready to take the broadcast of 9HD. I would be quite suprised if it did. Im holding off buying the HD products until HD is fully running in regional areas, hopefully it will be cheaper to buy then also. Cant wait! Gee tone it down a notch Jeremy. We get you love Nine, but you’re going a bit OTT. To spaceghost, you could indeed buy a $100 HD box and go to all the trouble of setting everything up. Or you could just download whatever shows you want. Here we go….AGAIN!!! like 10HD do with there Sci-Fi shows, all the shows that Nine treat with contempt like Moonlight, like Curb Your Enthusiasm etc, I bet they end up also on this HD channel and the only way you will be able to watch them is WITH A HD BOX!! Yes I know, I have to go and buy a box which is easy and supposedly cheap, yada yada…. But as I feel the same way about how 10 do this, why can’t they also show them on the SD channel as NOT everyone can afford luxuries such as HD Boxes and Plasma Screen TV sets. Ohhh I can’t wait for Nine HD, it sure will be excitement in the Jones family now, I know it will be a great channel, cause we heart Nine in our family, nothing but the best channel in Australian history. This is interesting. I hope that Nine do something like Ten did with their network, and actually offer alternate programs. Ten have done heaps actually, with Friday Night Lights, Smallville, The Shield, Battlestar Galactica, Over There, The 4400, Veronica Mars, Eureka, Journeyman and Cane all on their HD network. It’d be nice to have Nine do something similar, rather than just do a lazy simulcast. Seven are really wasting their network, the only interesting shows that are HD-exclusive on theirs are Day Break and The Nightcap. Back to 9HD, this would be a good opportunity to show their rejected shows like Moonlight, Nip/Tuck and Monster House, even if its on at maybe 10:30pm at night. It would be a waste if they just stuck on a whole heap of sport and documentaries and left it at that.